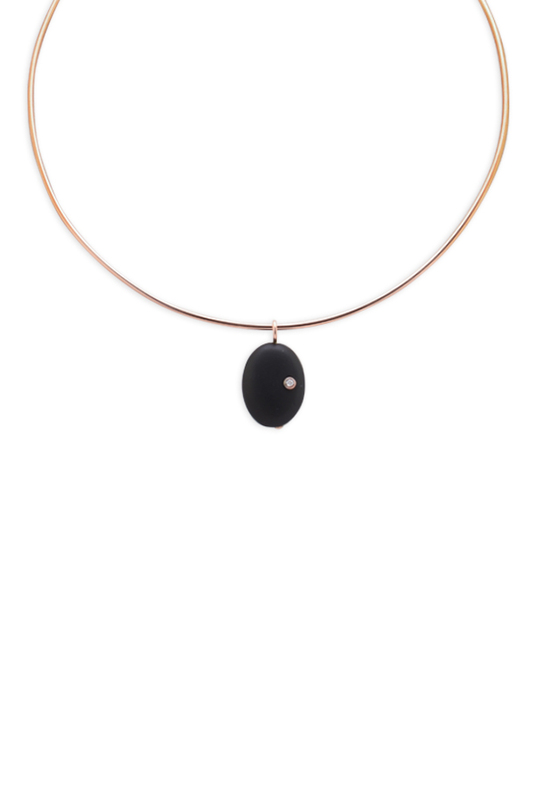 Flat, black agate with bezel-set white diamond and 14k rose gold. 14k rose gold filled wire and chain with lobster ring clasp closure. Adjustable length: 14" to 20"